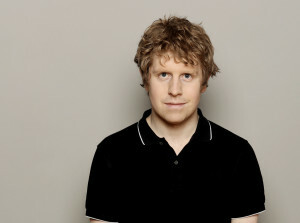 Josh Widdicombe – coming to the Cheese & Grain. FROME is entering an exciting period of live entertainment with many top live shows coming to town. The Cheese and Grain, Memorial Theatre and the Merlin Theatre are to host a variety of shows enhancing Frome’s growing reputation as a centre for live entertainment. At the Cheese & Grain on 27th February folk rockers Oysterband will be performing. Since 1978, the Oysterband have toured constantly, performing in 35 countries, appearing on countless TV shows, playing major festivals, theatres, clubs, pubs, rallies and even jails! Expect all the old favourites and a generous helping of great new songs. “The energy is still there, along with the desire to startle and experiment but so is a new maturity and emotional depth and even greater variety!” The Guardian. As well as live music at the Cheese & Grain, top comedian Josh Widdicombe will also be taking to the stage in May. Star of Channel 4’s ‘The Last Leg’, BBC1’s ‘Live At The Apollo’, and ‘Mock The Week’, Josh Widdicombe returns to the road touring his brand new show ‘Incidentally…’ and will be in Frome on Wednesday 7th May. Legendary singer/ songwriter Joan Armatrading will take to the stage in November. She is a three times Grammy nominated, a two times Brits nominee and winner of a coveted Ivor Novello Award for her outstanding collection of contemporary songs, she has also deservedly been awarded an MBE. Expect all the classics such as Love And Affection, Down To Zero, Drop The Pilot, Me Myself, This Charming Life, Rosie, Show Some Emotion and a whole lot more! Another not to be missed takes place in December as 1970s teen sensations Bay City Rollers who will be treating fans to all the old hits, retaining all the original magic that has never left some of its fans. This year marks the 40 year anniversary of their first hit single ‘Remember’; the band would go on to sell over a 100 million records in their four decade career. Being best known for their hits such as ‘Bye, Bye Baby’, ‘Shang-A-Lang’, ‘I Only Wanna Be With You’ and countless others, they were hailed as being the only band that could follow The Beatles. The Memorial Theatre has an ex-murder squad detective Trevor Marriott appearing as he presents ‘The World’s Worst Serial Killers’ in the Assembly Rooms, which is a two-hour audiovisual presentation looking at 20 of the most famous serial killers and their crimes. Following this at the Memorial Theatre on Saturday 8th March, in a brand new show for 2014, ‘One Night of Elvis’ with Lee Memphis King brings the ultimate tribute to The King to Frome once more. You can also celebrate St Patrick’s night with the Memorial on Saturday 15th March with the ‘Essence of Ireland’ show, which tells a story of love and endurance performed by world class dancers. Contact the box office on 01373 462795 – www.fromememorialtheatre.org.uk for details. The Merlin Theatre also have top-class entertainment with a double bill, ‘Adolf & Hitler’ on Wednesday 19th February. Pip Utton is a Merlin associate artist and one of the leading writers and performers of solo theatre. He started writing and performing one-man shows over 17 years ago and since then, has won acclaim and awards throughout the world. His double bill on the 19th, starting at 7.30pm, will see all proceeds from ticket sales going to Edventure Frome – a social enterprise supporting young adults to take initiative and create viable, sustainable futures for themselves and their community. There will be an interval between the two plays. Tickets for both performances are £12, or £8 for one only. To book tickets or further information, contact www.merlintheatre.co.uk or call 01373 465949.